A look at some of the best deals when it comes to buying a Nintendo Switch this Cyber Monday. One of the hottest deals you’ll find during Cyber Monday 2017 centers around the elusive Nintendo Switch. If you're looking to purchase a Nintendo Switch, Cyber Monday 2017 is one of the best times to start shopping as you’ll not only find the console’s stock replenished, but deals and discounts as well. If you want to enjoy the latest Nintendo gaming experience, be sure to start saving up and keep this year’s Cyber Monday date of November 27th, 2017 in mind. To help get you up-to-speed on what to expect, we’ve put together a list of some of the best Nintendo Switch deals during Cyber Monday 2017. When it comes to purchasing a Nintendo Switch during Cyber Monday 2017, it’s important to keep the console’s primary deals in mind. 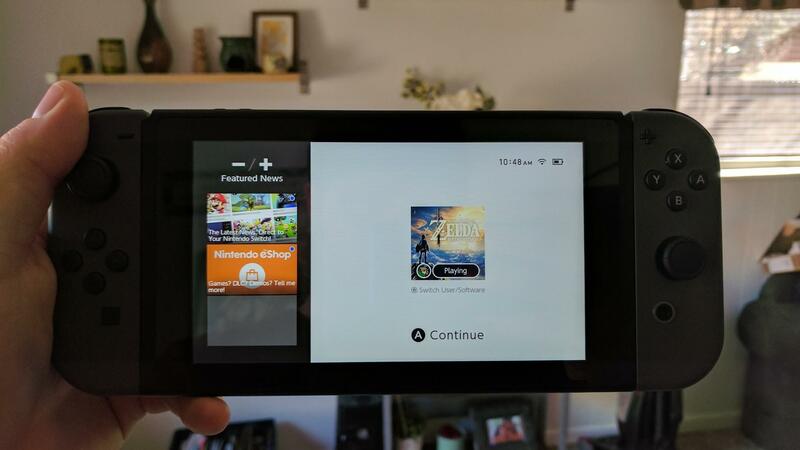 Each Nintendo Switch comes pre-packaged with the Nintendo Switch console, Nintendo Switch dock, set of Joy-Con controllers, Joy-Con Grip, wrist straps, AC adapter, and HDMI cable. Additionally, the base system comes with 32GB of onboard memory. 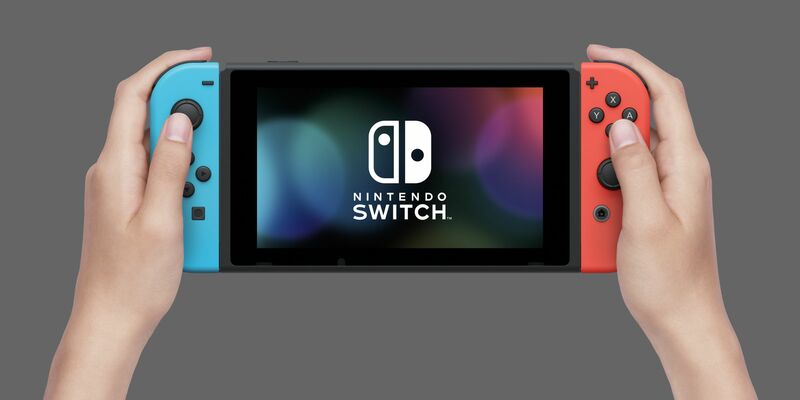 As of right now, there are two Nintendo Switch color variations: grey, and neon blue/neon red. Both are identical in price, with the only difference found in the color of the Joy-Cons. If color is important, note that you can purchase additional Joy-Cons separately. Here's a list of some of the best deals we've spotted on Nintendo Switch consoles from various retailers for Cyber Monday 2017. Along with your brand new Nintendo Switch, you’ll want to keep your eye out for Nintendo Switch game deals during Cyber Monday 2017. With the Nintendo Switch is in such high demand, we expect to see noticeable discounts not just on the console, but on accessories and games as well. Below we've listed some of the best Nintendo Switch game deals we've found for Cyber Monday 2017. Nintendo has recently announced their Nintendo eShop Cyber Deals sale, which features various discounts on digital games for the Nintendo Switch, Nintendo 3DS, and Wii U. We've listed the games available in the Nintendo eShop Cyber Sale below so you can finish shopping for Nintendo games ahead of Cyber Monday 2017. While you may be tempted to walk away with your new Nintendo Switch and collection of games, don’t forget to look into accessory deals during Cyber Monday 2017. 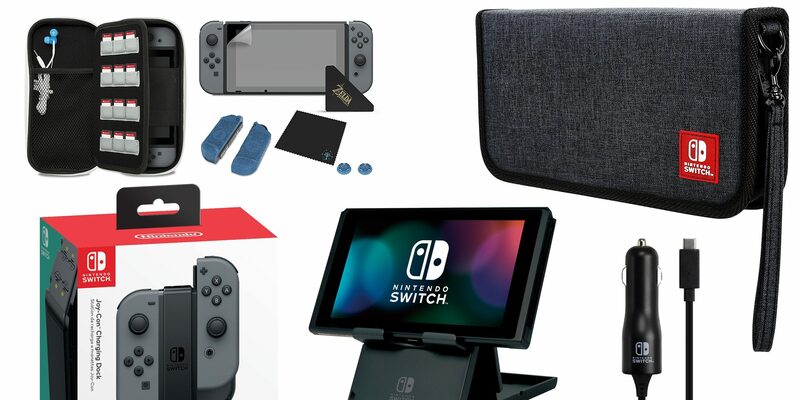 There are quite a few accessories to keep in mind including a screen protector, case (with pouches for your Switch cartridges), the Nintendo Switch Pro Controller, spare Joy-Cons, a Joy-Con charging dock, and more. There’s no better time to stock up on all of your Nintendo Switch accessory needs than during Cyber Monday 2017! Make sure to check back closer to Cyber Monday when we'll have all the best Nintendo Switch deals for console bundles, games and accessories!